After a blockbuster performance in Round 1 of 2018 Indian National Motorcycle Racing Championship, Honda riders are once again geared up for podium glory. 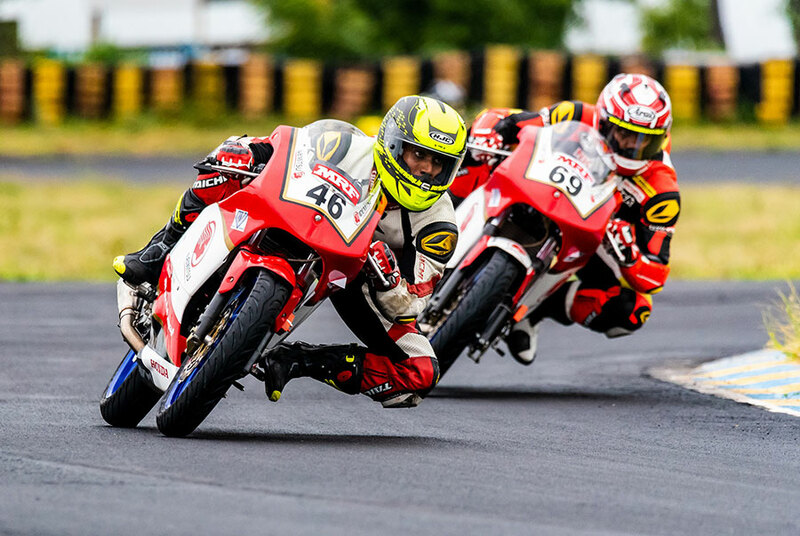 The Round 2 of the national championship will take place this weekend at Madras Motor Race Track, Chennai along with IDEMITSU Honda India Talent Cup. In the first round in Coimbatore earlier this month, IDEMITSU Honda Ten10 Racing rider Anish Shetty scored back to back wins in Pro Stock 165 class. Defending Honda’s 2017 title, Anish will aim for a hat trick of wins this weekend in Chennai. Mithun Kumar and Senthil Kumar displayed promising performance in round 1 and will be looking to improve their spot on the grid. In the SuperSport 165 class Rajiv Sethu, the 2017 national championship runner-up, will lead the charge along with Mathana Kumar and Sarath Kumar. Mathana Kumar’s challenging spirit had helped him bag double podiums in Round 1. For the first time, riders in the SuperSport 165 class will get special ‘slick tyres’. These tyres offer increased grip leading to faster cornering speed and reduced lap time. After the thrill and excitement of round 1, our riders are set to fight for the podium in the national championship this weekend. The action packed weekend will witness the introduction of IDEMITSU Honda India Talent Cup – CBR 150R class. In this new category we will also see budding racers in the age group of 13 to 18 years selected from the first leg of Talent Hunt conducted in Bangalore. In the IDEMITSU Honda India Talent Cup – CBR 250R class, 18 riders will be competing for the silverware. After a gruelling qualification session, youngster Senthil Kumar scored double wins. Senthil had an intense battle on track with Anish Shetty who finished right at his heels on both the races. Honda has further intensified the playing field with the introduction of IDEMITSU Honda India Talent Cup – CBR 150R class. Riders for this class have been hand-picked by motorcycle racing experts at IDEMITSU Honda India Talent Hunt. Coming from an intense training session at Honda Ten10 Racing Academy, the young lads will be testing their mettle at the race track. IDEMITSU Honda India Talent Hunt conducted in Bangalore saw the selection of 6 high potential riders who will be participating in the Talent Cup – CBR 150R class. The high octane event witnessed the growing love for motorcycle racing in India with participation of budding riders from as far as Guwahati. In the adrenaline packed event saw riders as young as 13 years being selected for this round. The youngsters will be competing for a win and as the season moves ahead, more riders will be joining the grid. These young racers will be continuously upgrading their skills during the season at Honda Ten10 Racing Academy.